DividendMax»Company Coverage»Country:United States»Exchange:New York Stock Exchange»Sector:Commercial Transportation»Company:Union Pacific Corp.
Union Pacific Corporation (NYSE:UNP) is one of America's leading transportation companies. Its principal operating company, Union Pacific Railroad, is North America's premier railroad franchise, covering 23 states across the western two-thirds of the United States. Union Pacific has paid dividends on its common stock for 114 consecutive years, they are a very reliable dividend payer and since the 2009 recession have significantly increased their quaterly dividend payouts. 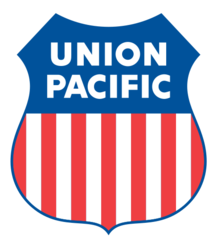 MAY 15, 2014: - Union Pacific Corporation (NYSE: UNP) announced that its Board of Directors voted today to authorize a two-for-one stock split, distributed as a stock dividend. Shareholders of record on May 27, 2014, will receive one additional share of Union Pacific common stock for each common share they hold as of this record date. The stock dividend will be paid on June 6, 2014. This stock dividend will not change the proportionate interest that a shareholder maintains in the Company. NOTE: All Historical and Paid dividends have beeb adjusted to reflect this split.